Weight bench shown in the picture not included in the scope of delivery (available as accessory)! In reference to the commercial weight series, Life Fitness offers the G7, an innovative home variety which guarantees an ultimate exercise variety thanks to the robust cable pulley frame. Using the independent cable pulleys, you can train exercise for one side of the body or for both sides at the same time - the last means saving time during an optimal training. The cable pulleys of the multi-gym Life Fitness G7 can be rapidly and easily adjusted in 20 levels. This offers the possibility of leg exercises (i.e. adductors) as well as exercises over the head (i.e. triceps press). The Life Fitness G7 offers, moreover, the possibility to strengthen the upper part of the body using the included pull-up module. The also includedLife Fitness adjustable bench convinces with its quality and durability. Its frame is made of high-quality steel. Its foam padding is covered with durable artificial leather and of a quality usually only known from gyms. The Life Fitness weight bench can be adjusted easily to one of six positions via its rail, the seat can furthermore be set to one of two positions. Besides those features of approved Life Fitness quality, a detailed manual including more than 60 exercises and a training dvd offer more fun and success in training. Thereby, an accredited personal trainer guides you through two different workouts on the dvd. Regarding the design, Life Fitness fulfils all needs of the customer - the result is a space-saving "over edge-construction". All in all, the main features of the multi-gym Life Fitness G7 are diversity, rapid change between exercises and ergonomic training. 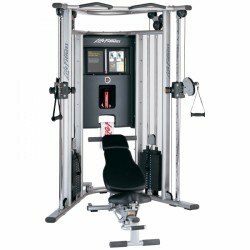 You can profit from the approved quality, ergonomy and motion quality for which Life Fitness is well-known. 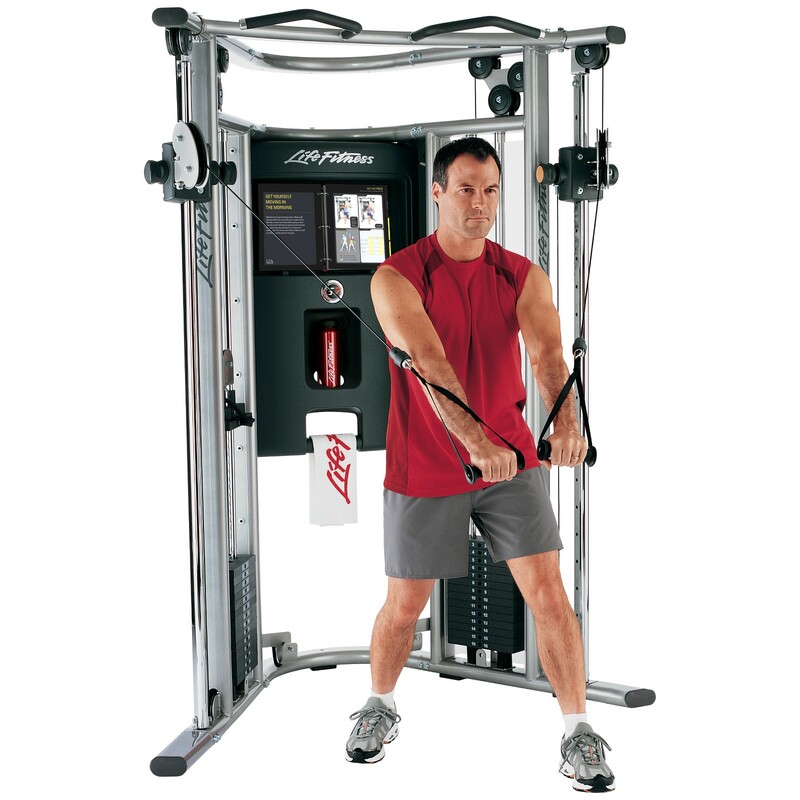 Life Fitness is the world-wide leading manufacturer of endurance and weight training equipment. 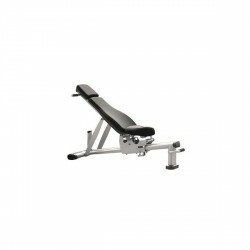 Life Fitness Adjustable Bench In stock! Multi-gym Life Fitness G7 including bench add to comparison list.